Most of us have heard of the Dead Sea Scrolls but may be a little fuzzy on the details of this most significant archaeological discovery of our time. More than 900 scrolls, including the oldest copies of the Bible, were found between 1946 and 1956 in caves at Khirbet Qumran along the northwest shores of the Dead Sea. With the discovery, however, arose more questions than answers: Who transcribed the Scrolls and where did the authors go? Why were the Scrolls written and hidden in the desert so far from inhabited villages? How were the Scrolls hidden, and how did they remain concealed and preserved for so many thousands of years? You can imagine my excitement when I recently had the opportunity to visit the Dead Sea Scroll exhibit at Philadelphia’s Franklin Institute. For the first time ever, I had a chance to see parts of the actual findings up close and personal! This was very special to me since I’ve referred to the Scrolls many times in my writing. 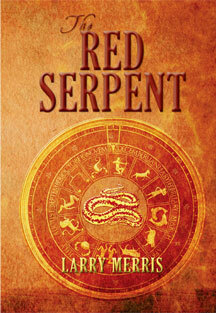 In The Red Serpent I borrowed many interesting facts from the historic Dead Sea discovery and wove a fascinating work of fiction intertwining history, myth, legend, and religion. Short, descriptive, historic cameos are interspersed within the book, complete with characters that bring the mysteries of the Scrolls to life and colorfully illustrate the many questions that were raised – along with the answers. Since not everyone will be able to visit the Dead Sea Scrolls exhibit, The Red Serpent might just be the next best thing! Anyone catch the summer season of “White Collar” on USA Network? If so, you’ll remember how the first two episodes took place on a “remote island off the African coast.” If not, it’s still On Demand. I was in Old San Juan, Puerto Rico, researching my next book with my wife last March, when we strolled out of our breakfast café and onto a film set. My wife ran up to a tall, not-very-approachable man with a clip board and asked what they were filming. 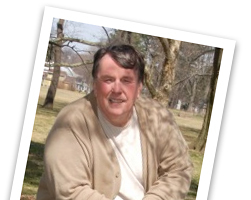 “White Collar,” came the curt reply. Undaunted, my wife went on to gush how she loves the show and watches every episode. Turns out the very streets and markets we were ambling through were all part of the set. We talked with some of the extras and one assistant director. We got video of Matt Bomer, Willy Garson, and Tim DeKay under a tent in their personalized canvas-back chairs, as well as of them shooting live footage up the street. Both episodes were shot throughout the streets of Old San Juan and at many of the historic sites we visited, so we have two hours of professionally filmed background from our stay. What a unique, unexpected, and delightful diversion it was!